That is the best way I can sum up my experience with Orbital Gear. I greatly enjoyed my time in the game, and even when something happens accidentally, it still feels epic. Everything is new and different. There are times where I just spend my time soaring through the environment making myself slingshot around using the gravitational pull of the planets to my advantage. With my gut instincts being my only guide in the heated dog fight battles that are about to ensue, to say I enjoy Orbital Gear would be an understatement. I love it! It’s fresh, new, and exciting! 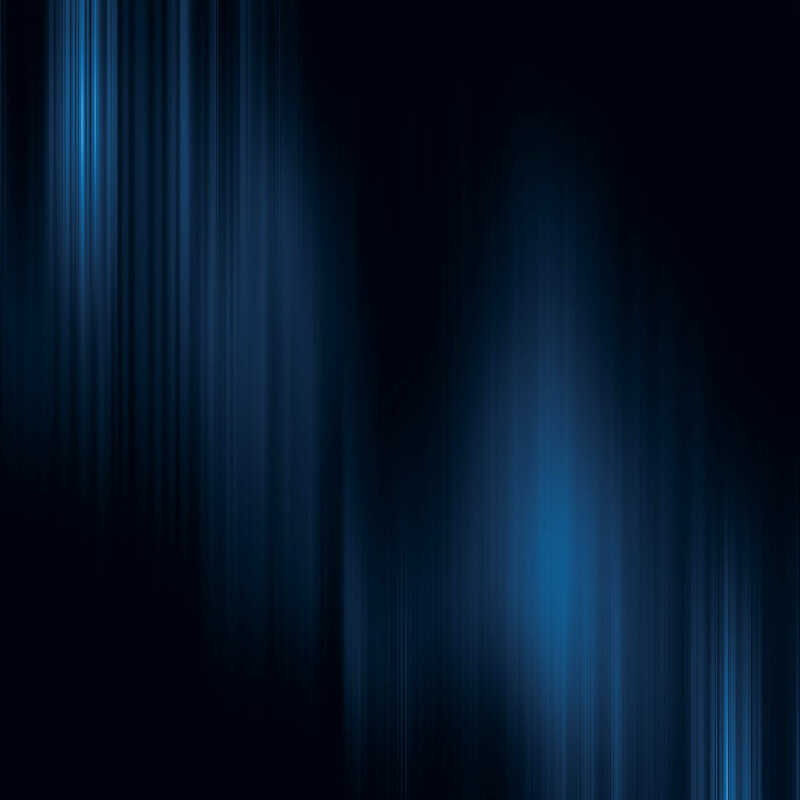 The bold colorful backgrounds that can only come from cascading nebulae in space are absolutely brilliant! You are piloting a mech with some lovely exotic weapons. Your mission is to be the last mech standing. FIGHT! You have at your disposal 12 weapons that wield devastating power, ranging from the planet scorching Kasainami to the Phase Orb, which gives you the power to generate your own super massive black hole! Live or die. Will you survive? The power of a mech at your fingertips! Orbital Gear is a mouse and keyboard controlled game that gives you the option to rebind your keys to fit your play style. 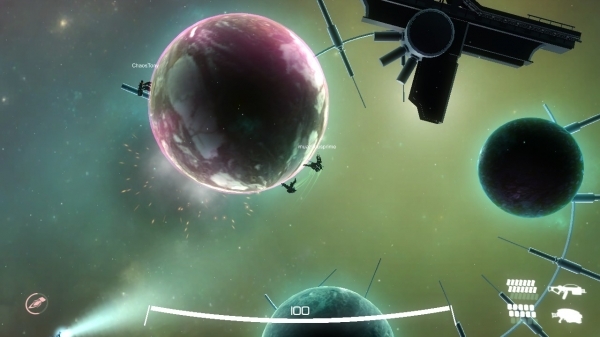 Controlling your mech in this gravity enriched universe feels smooth and fluid in this arcade shooter. There are currently two game modes with possibly more modes and maps to be released. You have your classic free for all death match mode, which is every mech for itself! Absolutely delightful! The more people you have, the more chaotic it becomes, and accidentally killing someone when your first target dodges is always amazing! It’s collateral damage done right! The second game mode is called Orbital Warfare, which is a team base vs base mode with multiple ways for your team to win. 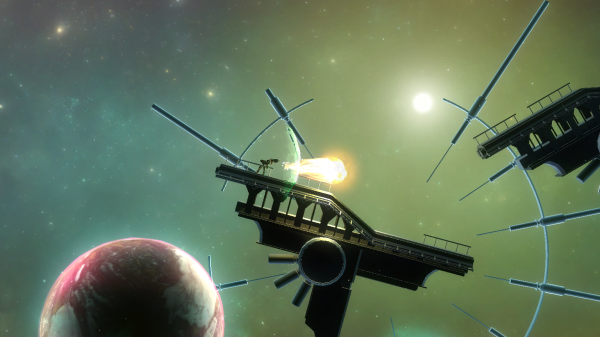 Either fire the orbital cannon, or eliminate the opposing team’s nodes. Hands down Orbital Gear is a great buy! Even though Orbital Gear is Night Node’s freshman game, they have completely nailed it! I’m also happy about the game’s price point being set at $9.99. Too many times we are seeing this trend where publishers and distributors are encouraging a $14.99 price point, and in my opinion, this price point is a death sentence for most indie games. If you are an indie developer creating your first or second game and are trying to establish yourself in the gaming scene, you need to be in the price range of $7.99 to $9.99! At $9.99 Orbital Gear is perfect for what you’re getting. This game is going to have countless hours of replayability among you and your friends, especially if you enjoy competitively killing one another. Piloting your own mech with an ungodly arsenal at your disposal just makes this game outstanding! In a sense it’s a throwback to the early days of Quake. 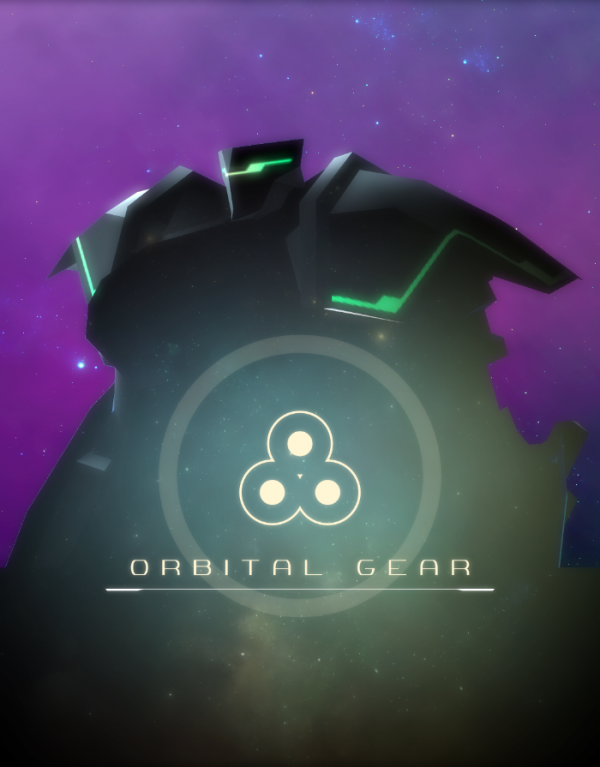 Orbital Gear will be available for purchase as of August 7th, 2014 on Steam! 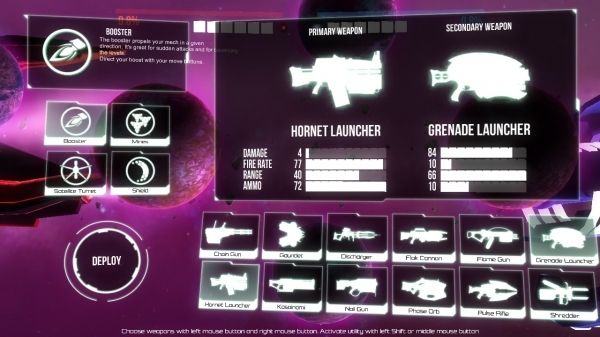 This entry was posted in PC, Post, Reviews and tagged Arcade Shooter, Death Match, Mech, Night Node, Online Multiplayer, Orbital Gear, Orbital Warfare, pc review, Saint Killjoy, steam, Travis Patterson. Bookmark the permalink.